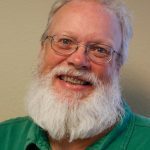 EAGLE COUNTY — For much of this year, real estate transactions have exceeded the levels set in 2012. But the value of those sales — the “dollar volume” — has been less than 2012 levels for about half of this year. The latest numbers, from October, land in the fewer sales/higher volume camp. According to the latest data from Land Title Guarantee Company, there were fewer sales in October of this year than in 2012 — 177 compared to 218. But the value of the 2013 sales was greater than the higher number of sales in October 2012. For the first 10 months of this year, the total sales volume is more than $1.13 billion, only about $20,000 behind last year’s volume through October. But that volume is based on about 100 more transactions. As is usually the case, sales of homes priced at $500,000 or less make up the bulk of all sales — 40 percent. The market for homes selling for $1 million or less accounts for 76 percent of all sales, but just 38 percent of the dollar volume. That volume is usually bulked up by sales of very expensive homes. For instance, sales of $5 million or more accounted for just five sales in October — just 3 percent of the total — but made up nearly 25 percent of the month’s dollar volume. For much of the year, local real estate brokers have talked about the relative weakness of the high end of the market. Julie Bergsten, a vice president at Slifer Smith & Frampton, the valley’s largest real estate company, said she sees the market improving in the “lower high end,” homes priced between $2.5 million and $5 million. The upper reaches of the market are still fairly slow, she said. The resort market is very different than the market most local residents operate in. People buying homes in Vail, Beaver Creek and Bachelor Gulch generally are willing to wait for the right property, and sellers are equally willing to wait for the right offer. There’s a good bit more action on the valley floor. 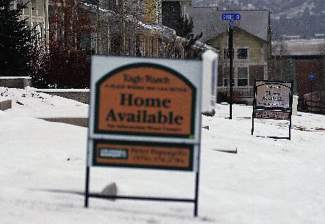 Bergsten said her company has seen a “huge spike” in local residents buying in neighborhoods, including Eagle-Vail, Singletree and Eagle Ranch. “People are still looking there,” she said. In October, sales in Eagle and Gypsum alone accounted for less than 20 percent of all transactions, but for the year, those towns account for more than 27 percent of all transactions. That doesn’t mean the western valley communities are less popular, but that there are simply less homes on the market at the moment. Scooter Slaughter, a broker in the Gypsum office of Berkshire Hathaway HomeServices Colorado Properties, said after a strong start to 2013, there have been fewer transactions in that part of the valley in the second half of this year. That’s due to lack of inventory, Slaughter said. But that’s good news in a way. A big part of the western valley market for the past couple of years has been sales of bank-owned property or owners arranging with their lenders “short sales” — sales in which the lend agrees to sell a home for less than the owner owes on the property. Slaughter said short sales have declined, and the Land Title report indicates that sales of bank-owned — foreclosed — homes has dropped dramatically from 2012 to 2013. There were 313 sales of bank-owned homes in the valley last year — most in the western part of the valley. So far this year, there have been just 120 such sales. There were only six in October. While the decline in foreclosures puts fewer homes on the market, it also means that values might be approaching something “normal.” That means home values — which have declined dramatically in some places — might be ready to start climbing again. Bergsten said she doubts the valley will see values come back to 2007 levels any time soon. And the market remains hard to define. “We’re not in a buyers’ market or a sellers’ market,” Bergsten said. That means the market is still trying to find balance between what buyers will pay and sellers will accept. Still, the current market has at least some good news for everyone. Buyers might be able to find a home, with some effort. Sellers might be able to get a decent, if still lower than boom-level price for their property. And, Bergsten said, brokers willing to put in the work might be able to make a decent living.